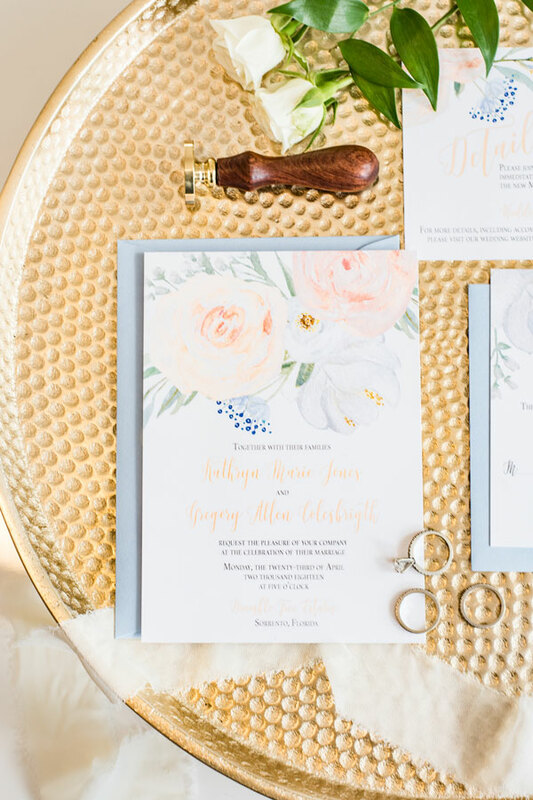 The Kathryn Suite is a romantic, floral watercolor wedding invitation. This wedding invitation suite has a whimsical style for the couple looking for some flowers and color for their wedding invitation. You can customize this wedding invitation suite by changing the colors of the font, envelopes, and paper to fit your wedding vision. Pictured here, the Kathryn Wedding Invitation Suite has been customized with a light blue envelopes and is beautiful on its own. But add a ribbon or wax seal, pow a total custom look just for your special day!